Test Station Road East just South of Lee Vining. There is an undeveloped area near Lee Vining with an abundance of tufa equaling if not surpassing South Tufa. The problem is because it is undeveloped, it is difficult to get to, but pristine and worth the effort. 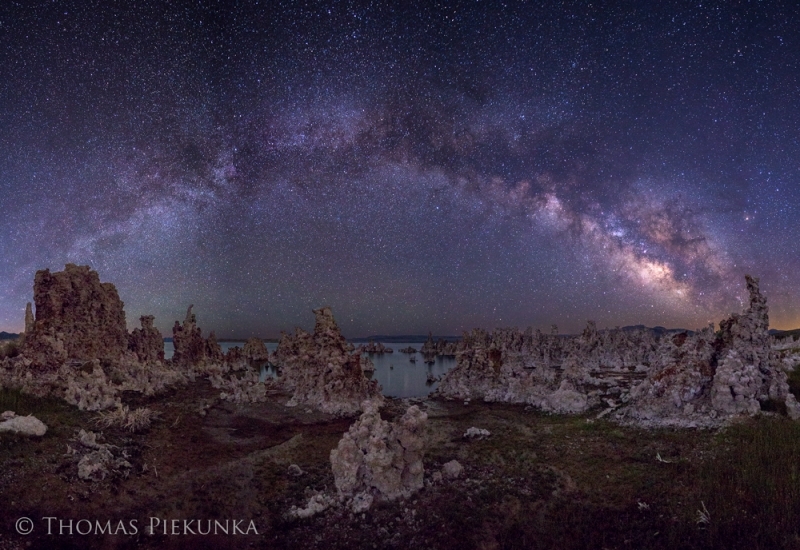 I knew in late June that I could get a panorama of the Milky Way arching over the area nicely.